A broad spectrum, low sugar, complementary feedstuff suitable for all horses and ponies. Particularly useful for horses on poor pasture, a forage only diet and those recovering from illness. 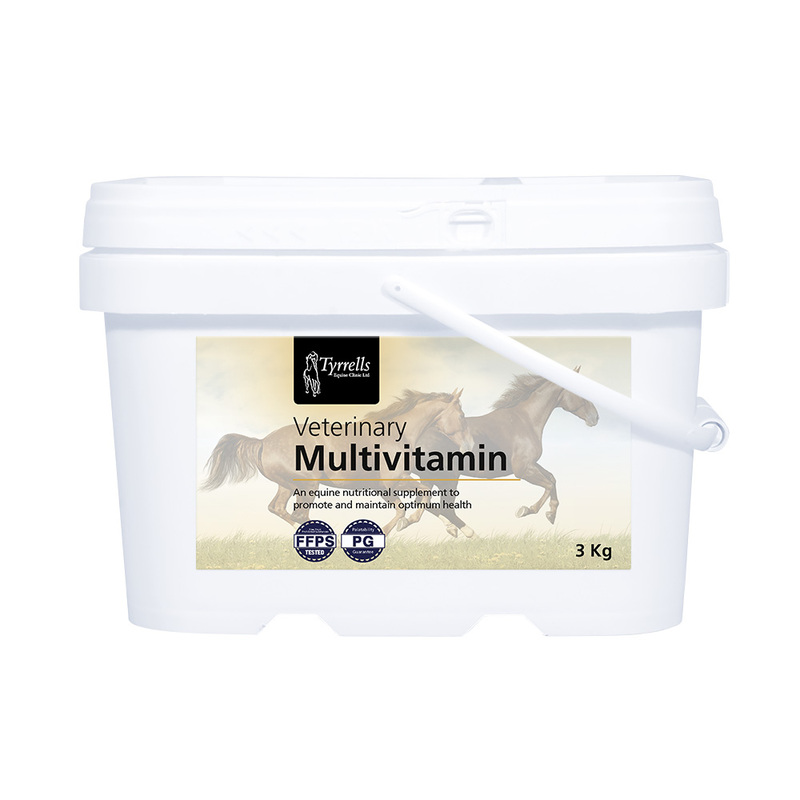 Veterinary multivitamin is ideal for convalescing laminitics. A 3kg tub costs £44.00 and contains between 60 and 120 doses. The cost per day for horses and ponies over 300kg is 67p. Veterinary Joint Aid is Glucosamine Hydrochloride 99% Pure which is essential in the production of cartilage, joint fluid, tendons and ligaments. It is suitable for all horses and particularly those that are more mature in years! A tub is 1kg in size and costs £60.00. 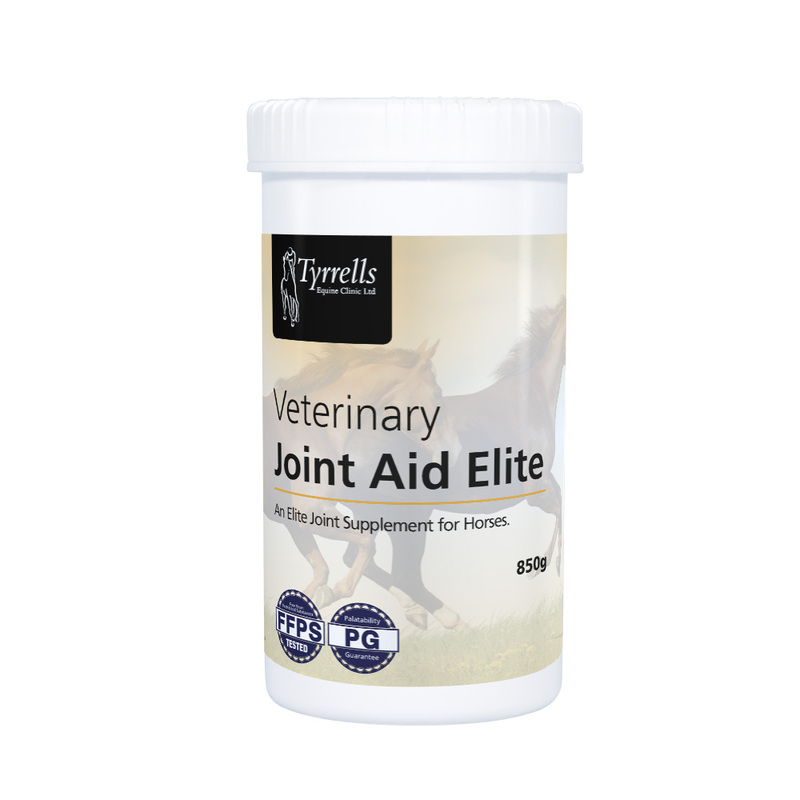 In addition to Glucosamine Hydrochloride 99% Pure Veterinary Joint Aid Elite contains Hyaluronic Acid, Boswellia Serrata, Chondrotin Sulphate and MSM (all of which are free from FEI prohibited substances). These components provide excellent support to joints and cartilage and are most beneficial to horses with known joint issues and those in hard work.This supplement comes in two sizes - 400g (£47.00) and 850g (£80.00). Specifically designed for horses with poor quality foot. Veterinary Hoof Assist contains Vitamin H (Biotin) and essential minerals and amino acids to optimise hoof growth and improve the intergrity of the hoof wall. This product come with a money back guarantee - if no improvement is seen in the quality of foot after 150 days. A 1kg tub last 50 days and costs £65.00. A highly absorbable and extremely palatable iron and B vitamin supplement. Recommended for horses showing signs of lethargy, poor performance or those recovering from a period of illness. 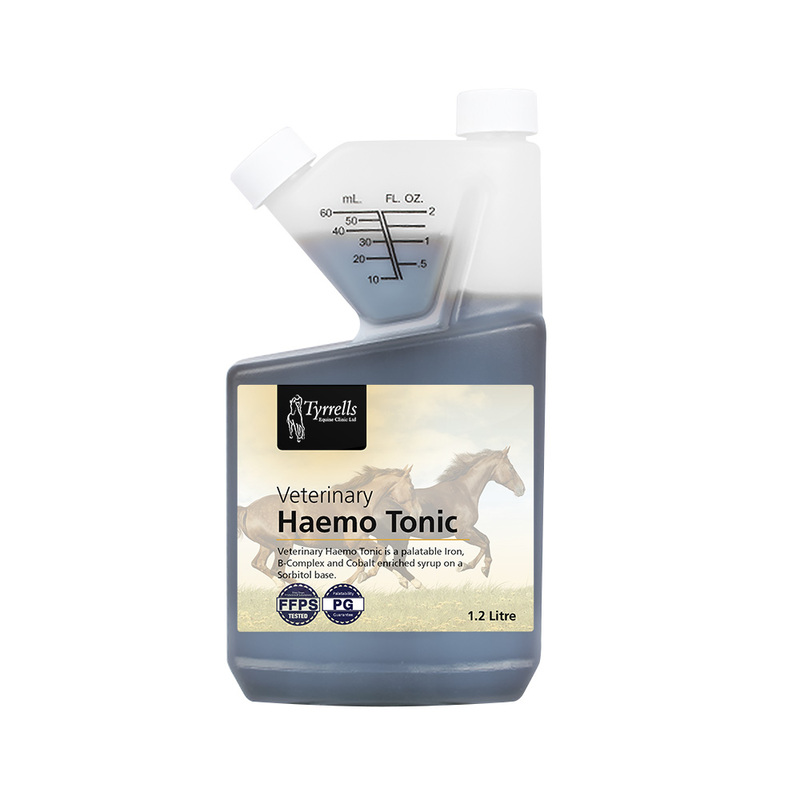 Veterinary Haemo Tonic comes in 2 sizes - 1.2ltr (£38.00) and 3ltr (68.00). Our Veterinary Probiotic Powder contains high levels of Saccharomyces Cerevisiae a yeast which aids natural fermentation in the equine hind gut, a process fundamental to the overall health and well being. The powder comes in a highly palatable mint flavour. It is particularly useful for horses on haylage (because haylage is acidic), horses prone to dietry upset and for periods of potential gastro-intestinal upset (e.g when changing field or receiving anti-biotic treatment). A 750g tub costs £41.00 and contains up to 75 doses. 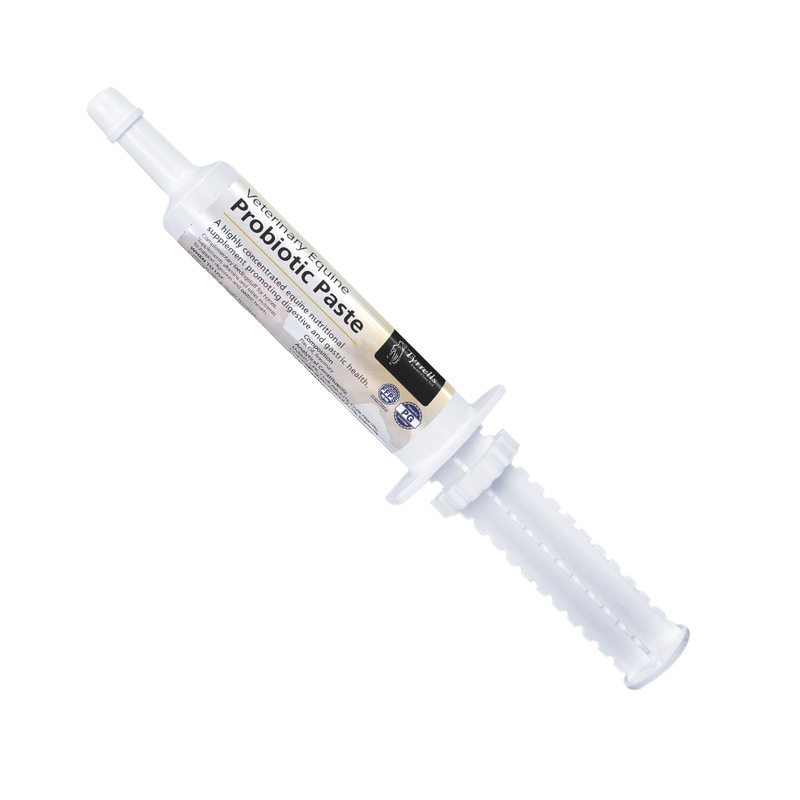 The syringe contains up to 6 doses of probiotic paste also with high levels of Saccharomyces Cerevisiae. It is useful for potential periods of gastro-intestinal upset such as pre and post worming or when changing diet. A 30ml syringe cost £12.20. 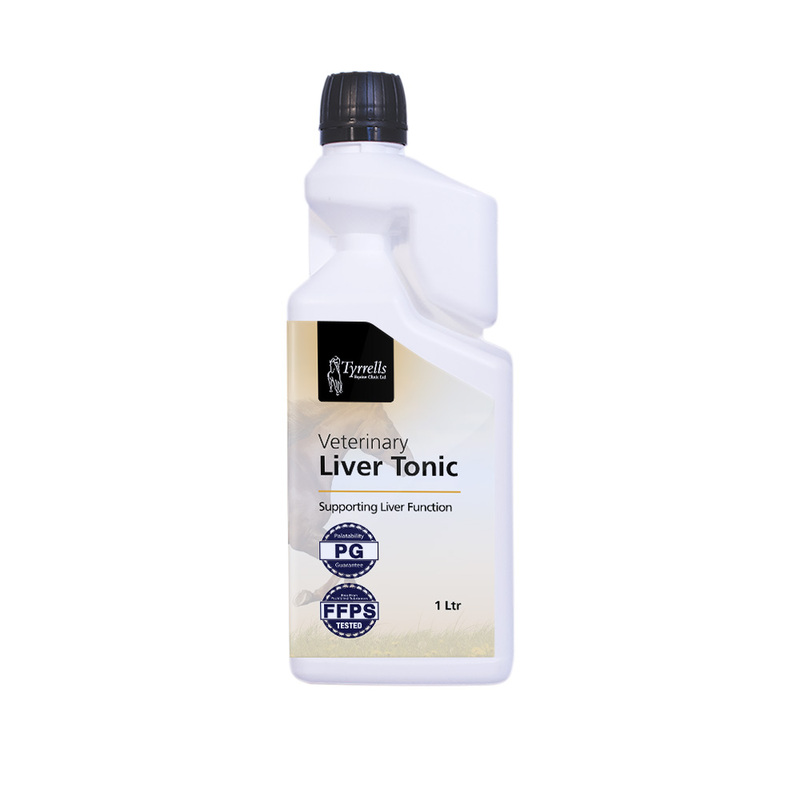 A complementary tonic containing vitamins and anti-oxidants to support healthy liver function. B- Vitamins, Milk Thistle and Vitamin E aid metabolism. This highly palatable tonic is useful for horses who have undergone a period of stress and liver issues are suspected. A1ltr bottle costs £55.00. 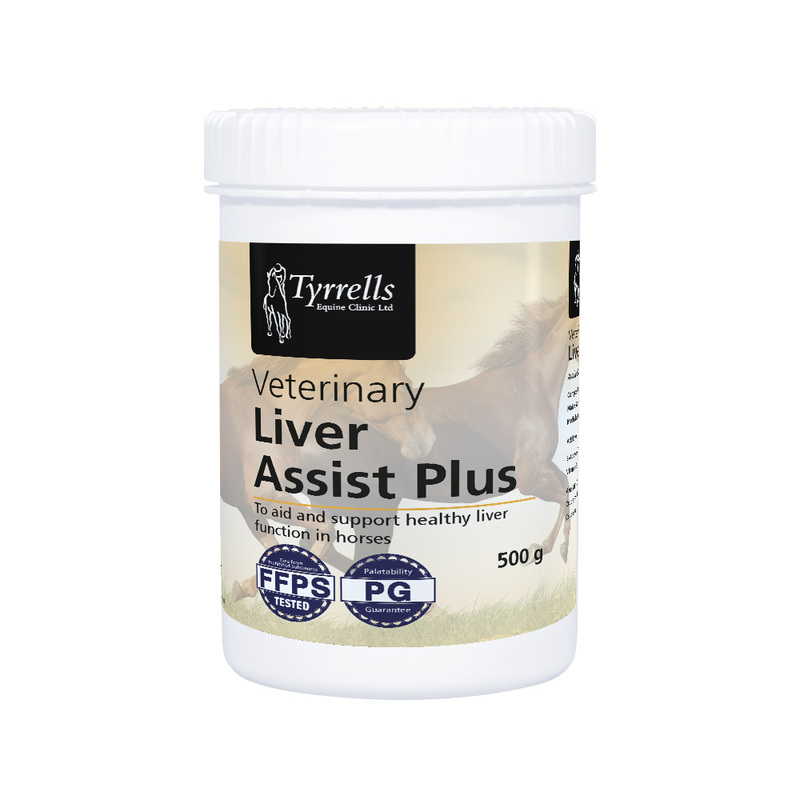 Veterinary Liver Assist Plus is highly effective in the treatment of liver disease. This supplement contains high levels of S-Adenosyl-Methionine a powerful component known to aid optimal liver function. A 15 day course is £134.00. A complementary feeding stuff containing a range of ingredients to facillitate nervous funtcion, serotonin production and hind gut balance all of which are known to promote health and welfare. Recommended for horses known to be sensitive in temperament or for use prior to and during periods of potential stress e.g. moving yards. A 750g tub contains up to 60 doses and costs £48.00. A complementary feedstuff containing a unique formulation of prebiotics, amino acids, seaweed extract and specific minerals. 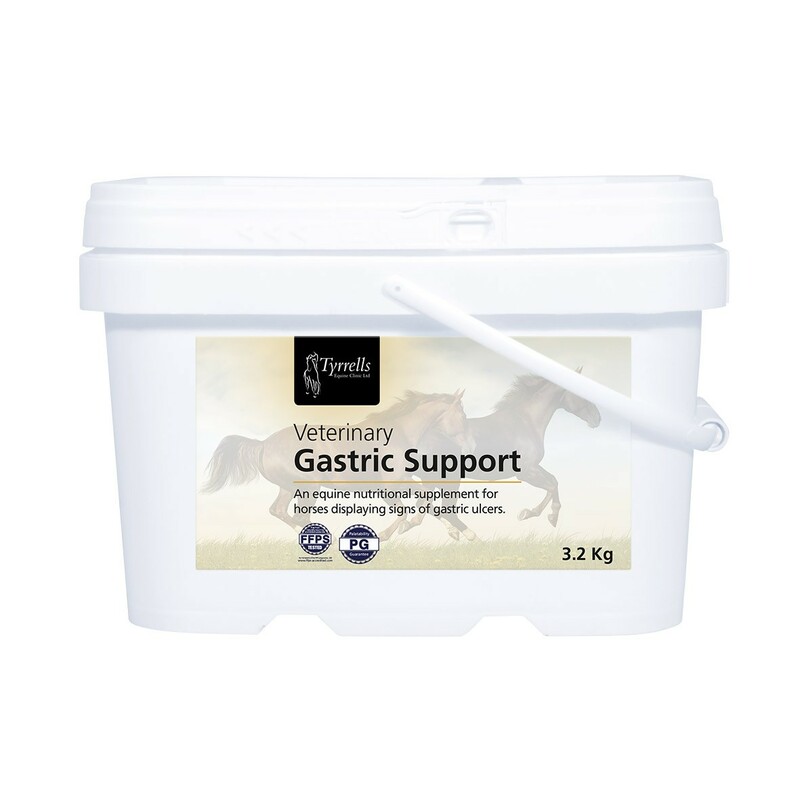 A valuable supplement for horses with a history or exhibiting symptoms of gastric ulcers. We are pleased to be able to offer a free 10 day trial on this product with which we have seen some great results. For those horses who respond well to the free trial a 3.2kg tub lasts up to 64 days and costs £93.00.